On Friday 15th August I had the privilege to provide a demonstration of portrait sketching to demonstrate the use of charcoal & Conté sticks on toned Sugar paper for life & portrait sketching as part of the Alexander Paper Supplies 20th Anniversary celebrations at Dagfields in Cheshire. 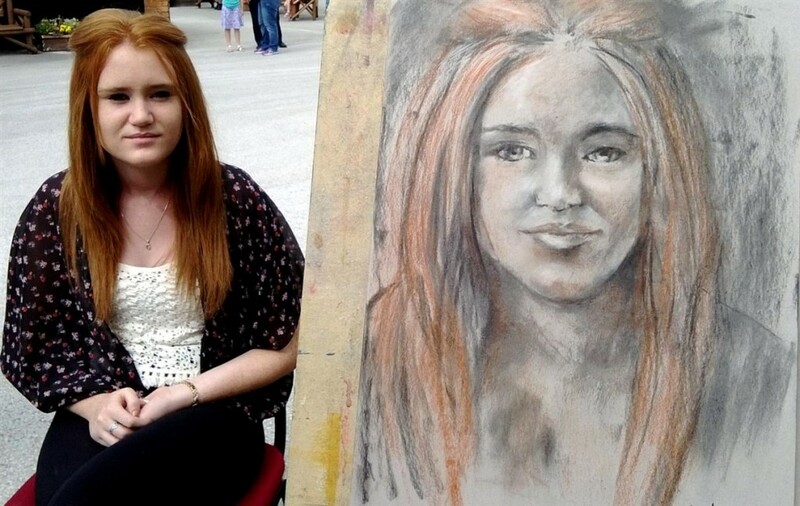 On the day I managed to demonstrate 4 portraits of people aged 10 to 80+ both male & female. Most wanted them just in charcoal, and the one for this lady above and below (called Georgina) was to only have minimal colour. It was and ideal opportunity to make use of the white & red Conté sticks provided to represent her lovely red hair. I pretty lucky that the weather was dry working out in the open. It got a bit cloudy as the day wore on which presented its own challenges due to the ever changing light causing shifts in depth of shadows and patterns . However for this one we were lucky the sun shined to the point I completed the initial charcoal sketch so managed to capture the sitter as if in bright light (unfortunately by the end of the sitting the drizzly rain clouds loomed only to clear later). 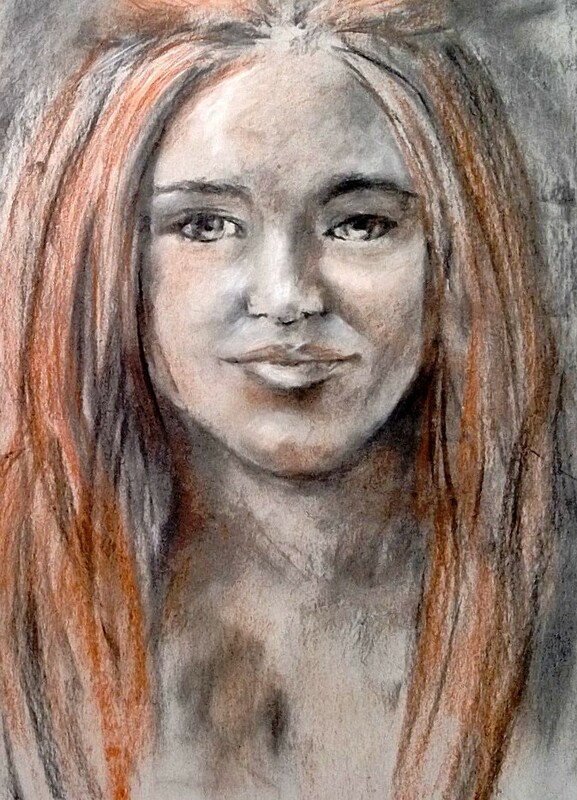 After a very quick lunch kindly provided by Alexander Paper Supplies my afternoon sketches also included this lovely young lady in charcoal pictured above. Her grandmother was that pleased with the sketch she went directly to the framers to have it framed which was a lovely compliment to the work. All-in-all it was a lovely day drawing to the music provided by Red Shift Radio (I love to listen to music when I am working, kind of gets me working in a livelier manner). 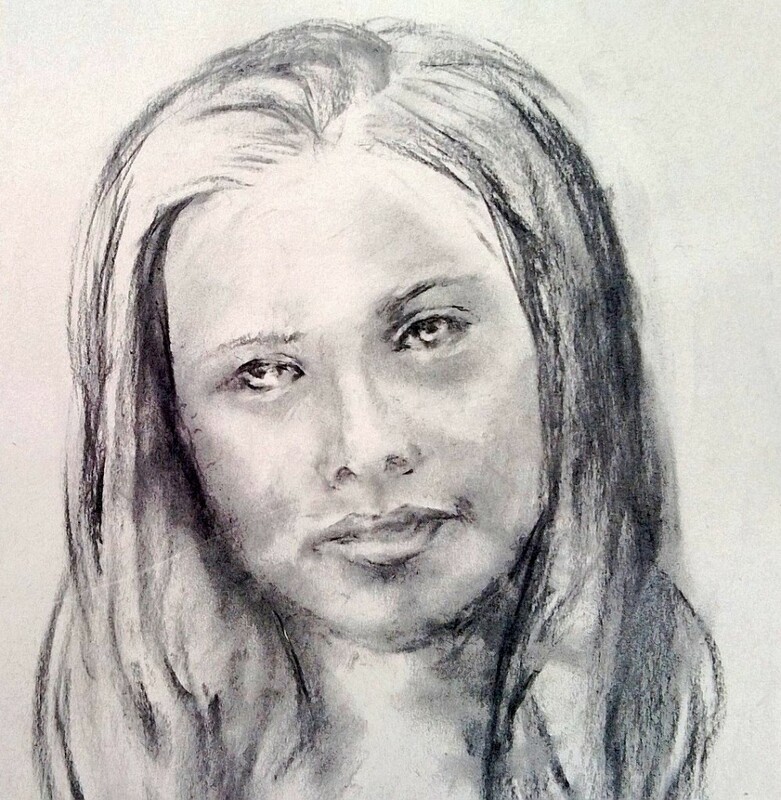 As an artist it was the first time demonstrating drawing people from life to the general public in this way so was a new experience and challenge which I thoroughly enjoyed and would definitely like to do again. If any of the lovely people I met on the day are reading this thank you for all of the lovely feedback and support. It was lovely to meet you all. Special thanks goes to Alexander Paper Supplies and Red Shift Radio for being so supportive throughout the day.